Have four martini glasses ready. Mix the mango, chilli, lime juice and Thai basil together to make the salsa. Spoon 2 tablespoons of salsa into the bottom of each martini glass. 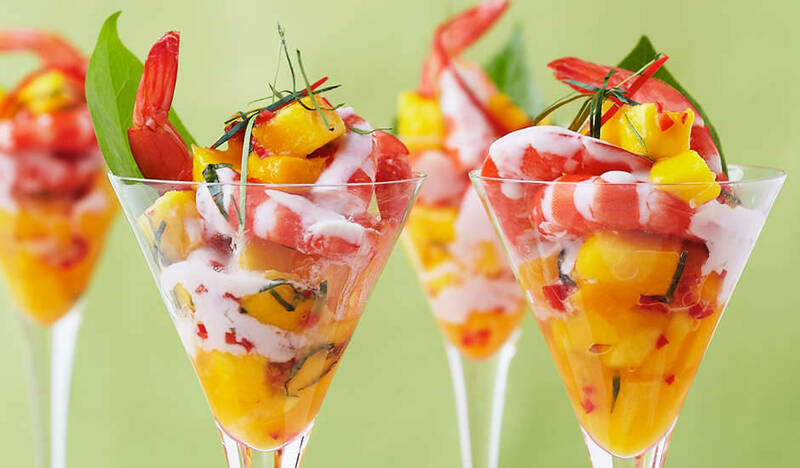 Dress the prawns with the coconut dressing and place 4-6 prawns in each glass. Add a touch more salsa on top and finish with the kaffir lime strips and a garnish of red chilli and betel leaves.